1109 Linden Ave., Oak Park. The Schuyler, from the 1933 Sears Modern Homes catalog. 1113 Linden Ave., Oak Park. 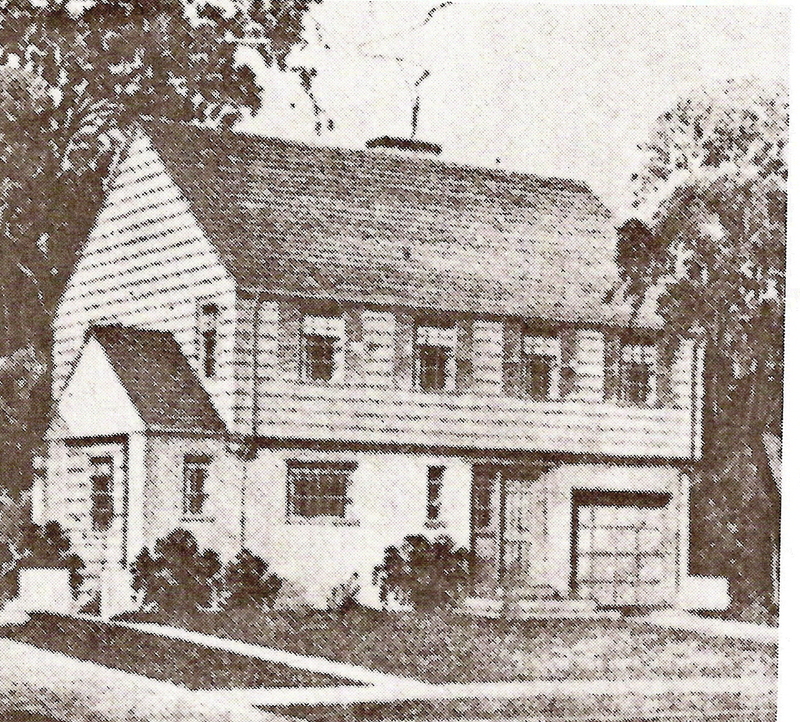 The Bristol, from the 1933 Sears Modern Homes catalog. 1117 Linden Ave., Oak Park. 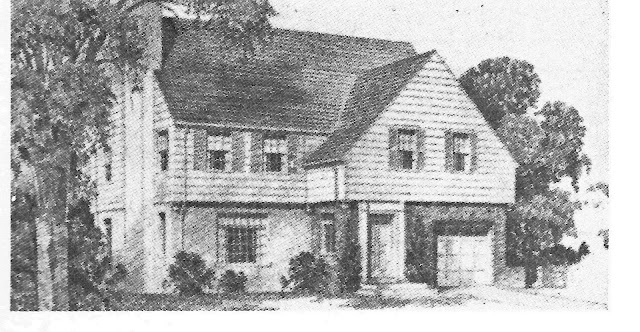 The Webster, from the 1933 Sears Modern Homes catalog. Sears built three houses side by side on Linden Avenue in Oak Park. These three rare styles were only offered for sale in one year--1933. In 1932, sales of Sears homes suffered due to the Great Depression. Net sales were down 47% from the prior year, and the Modern Homes Department was operating at a loss. In an attempt to boost sales, Sears executives decided to conduct an experiment on building homes prior to sale. They felt if customers could walk through model homes and see the Sears quality firsthand, they would be more inclined to purchase. Construction on the houses started in summer of 1932 and the first completed model opened in October of that year. The Schuyler was priced at $14,900; the Bristol was priced at $15,100, and the Webster was priced at $15,300. These were not cheap houses. Originally Sears hoped to sell these houses for $10,000 each, but the cost to construct was way over what they anticipated. 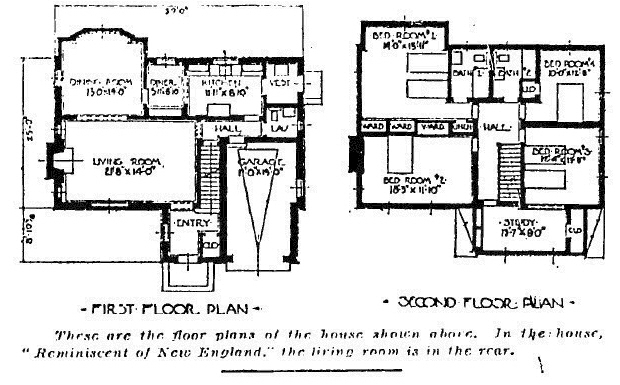 Floor plan of the Schuyler. All three originally had cedar shingles, although they are covered in aluminum today. The shingles and the brick were painted white on all three houses. The shutters were black, and the roofs were variegated black and red. The Bristol and the Schuyler share the same stone exterior on the first floor, while the Webster has a brick first-floor exterior. Two of the houses featured finished recreation rooms in the basement. This was uncommon in houses of the early 1930's. Sears managed to sell the three houses, but felt that profit margin was too low to continue constructing homes before sale. "We do not propose any further experimentation along this line pending the sale of the Oak Park Houses and the development of better sales conditions," wrote General W.H. Rose, the General Supervisor of the Modern Homes Department. These are likely the only Schuyler, Bristol, and Webster models ever built. 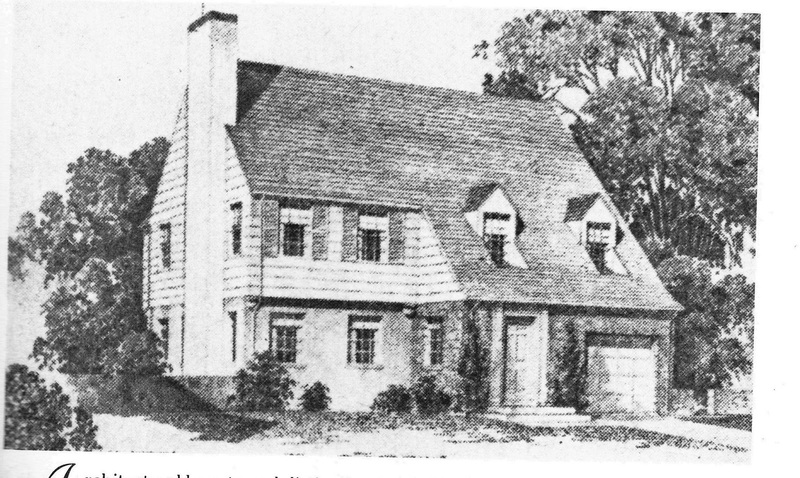 As bad of a year as 1932 was for the Modern Homes Department, 1933 was even worse. Net sales were down almost 50% in 1933 as compared to 1932! These three models were more expensive than most other houses in the 1933 catalog and I would wager that Sears never sold any others. I agree with the Sears idea that people are more inclined to buy if they can view a model home. Thanks for sharing these. My family lived in the home at 1109 linden. It was a wonderful place for a family of five boys to grow up, go to church and school located just across the street. Sears did a fine job !